We know that the Dubs, Cavs, Rockets, Spurs, and Celts will make the playoffs. But what’s there to look forward to for the bottom-feeders of the league? Today, the FHM crew takes a look at a few teams at the crossroads: from the fringe playoff aspirants to the lowly tankers. Man, D’Angelo Russell can’t catch a break. Russell broke out of his shell in his first 12 games by averaging 20.9 ppg, up until a knee injury sidelined him mid-November. This came a month after losing another point guard in Jeremy Lin to a season-ending injury of his own. Interestingly, however, next-in-line Spencer Dinwiddie has been making a name for himself in Russell’s absence. At 6’6”, Dinwiddie is a solid prospect that can speed up Brooklyn’s rebuilding, but his ascendance raises questions as to whom the team should be playing in key stretches when Russell comes back. Since Russell went down, Dinwiddie’s averages have shot up to 16 ppg and 8 apg, all while maintaining a respectable 1.2 turnover rate (versus Russell’s somewhat horrendous 4.0 rate). With their PERs standing dangerously close to one another (Russell’s 19.5 versus Dinwiddie’s 18.3), it stands to reason that two things may occur in the next few months: 1) the Nets might start realizing they may not need Russell as much as they thought; or 2) they may have to scramble the lineups and find a way to play these two together without sacrificing defense and rebounding. Either way, D’Angelo Russell will need to find a way to prove his worth once again. If there ever was an irrational confidence award for rookies, then Donovan Mitchell deserves it hands down. Mitchell lucked into a perfect storm of injuries that sent the Jazz into desperation mode: Dante Exum, Rodney Hood, and Rudy Gobert all went down at different moments, leaving pass-first point guard Ricky Rubio with literally no one to pass to. Enter the triumphant Mitchell, who’s been wheeling and dealing his way to an eye-popping 26 ppg at .529 shooting in his last six games (and .500 3PT%), including a 41-point outburst against the Pelicans. Mitchell marries a shooting guard’s natural scoring talent to a combo-guard’s tight 6’3” frame, but so far that hasn’t held him back one bit. Mitchell is exactly the player the Jazz needed after losing Gordon Hayward to the Celts, and will need every bit of his daredevil persona and in-your-face shooting to reach the playoffs. The Jazz have won seven of their last 10 games, and are looking to make Mitchell’s scoring role more permanent. Should Mitchell develop his efficiency, we may be looking at the next coming of Dwyane Wade, albeit with a much larger chip on his shoulder and a better shooting touch with no rookie burdens whatsoever. The firing of David Fizdale sent shockwaves around the league, both from fellow coaches and players alike, uncovering a layer of mismanagement rarely seen since their adoption of the hugely popular (and successful) grit-and-grind era. Whether he wants to admit it or not, this falls squarely on Marc Gasol’s shoulders. Despite having a historically bad relationship with Fizdale since the start of the season, Gasol is still basically a 20-10 player, even if his shooting has fallen off a bit at .421%. Despite these stats, the Grizzlies have lost 9 out of their last 10 games. Gasol’s long-range shot is also suspect: at .330%, it's worth arguing against him shooting them bombers in the first place, in the same way that people went gaga over Kevin Love’s inability to rebound offensively when living beyond the arc. This is a point of no return for the formless Grizzlies, who will have to rely on Mike Conley’s ghost, Chandler Parson’s half-broken body, a misfiring Mario Chalmers, and a desperate Tyreke Evans to start winning games. Time will tell if the firing becomes a catalyst for the Grizzlies’ offensive innovation or a panic move bound to waste away Gasol’s prime years, along with the Grizzlies’ immediate future. Arizona’s “all-energy no-shooting guy” has finally arrived to wrestle his critics into submission. Averaging 18.4 ppg and 8 rpg on .490 shooting, Gordon has finally shed his role-player label and embraced the role of a chaotic scorer who somehow combines Blake Griffin’s athleticism with Dirk Nowitzki’s shooting. This is exemplified in two previous 40+ point scoring (and 14+ rebound) explosions in his first two months against the Nets and Thunder. Gordon is averaging .419 in 3PT% and is 27th in the league in long-range accuracy, and the second best shooter in his own team. Only Marvin Williams, Al Horford, and Dirk Nowitzki rate higher among power forwards. Aside from averaging a block and a steal per game, Gordon also simply finds ways to influence the game even if he’s not forced to score inside like a traditional PF would, creating more room for optimism than their 10-15 record could ever suggest. He has room to improve in playmaking if the Magic somehow find a way to make Elfrid Payton a much better shooter. 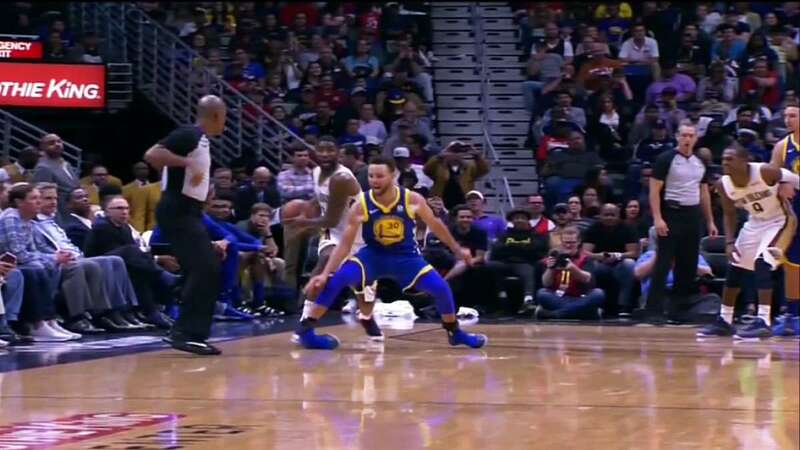 Usually, Payton’s 6.8 apg provides several opportunities for Gordon to play off-ball, but the same can’t be said if Gordon chooses to pass out for an open three. Similar to the Timberwolves, the Magic need to tighten their long-range game to open up the floor for their talented bigs. It was funny when the Kings took on George Hill’s contract when they just drafted Kentucky Wildcat De’Aaron Fox; it’s funnier now when both guards share virtually the same minutes with a 7-16 team record. While it’s true Hill is still shooting better (.447 vs Fox’s .403) and turning it over less (1.2 vs 1.8)—with nothing else to lose other than Hill’s trade value—why couldn’t the Kings simply go all-in on development and give Fox the keys to the floor? It’s not like they’re at risk of losing a superstar (that happened already when they traded Demarcus Cousins last year). One promising thing about Fox’s game: he’s shooting a sharp .533 on 2P%, a testament to his deadly speed and John Wall-like finishing ability. 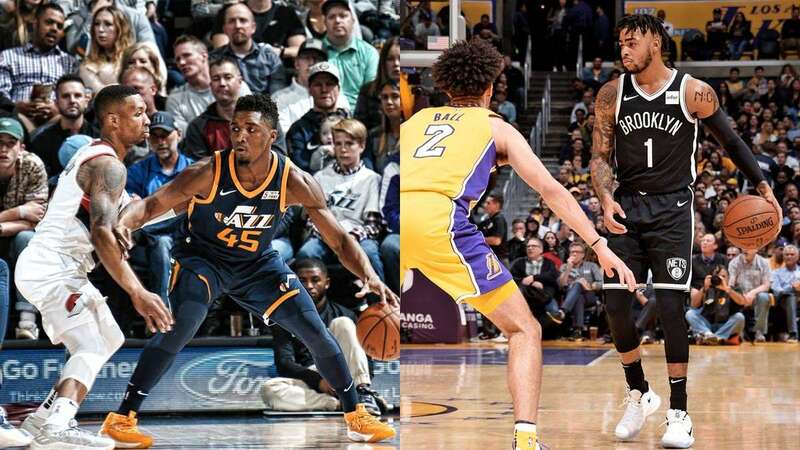 It might be better for the Kings in the long run to trade George Hill to a contender in exchange for a promising SF that could run with a Buddy Hield and Fox core lineup to produce points while rookie Justin Jackson is still adjusting. They’re bound to run into some speed bumps along the way—such as the unfortunate magnanimity of their starting five not being able to score any points in the first quarter twice already this season. At least the bottom half of the NBA gets to look forward to their rookies, who have proven that this year’s crop might truly be special: John Collins is quickly becoming the only reason to watch the Hawks, Maverick Dennis Smith, Jr. is still a man among boys when measured in dunks, volume shooter Malik Monk is steadily getting his burn in Charlotte, Kyle Kuzma is still the magic aspirin the Lakers sorely need from their Ball family headaches, and Bulls sharpshooter Lauri Markannen is single-handedly keeping coach Fred Hoiberg from being fired. It’s sad that Ben Simmons already has the ROY race in the bag, but hey, it’s fun to watch these upstarts mix things up. After all, they’ve literally got nothing else to lose.